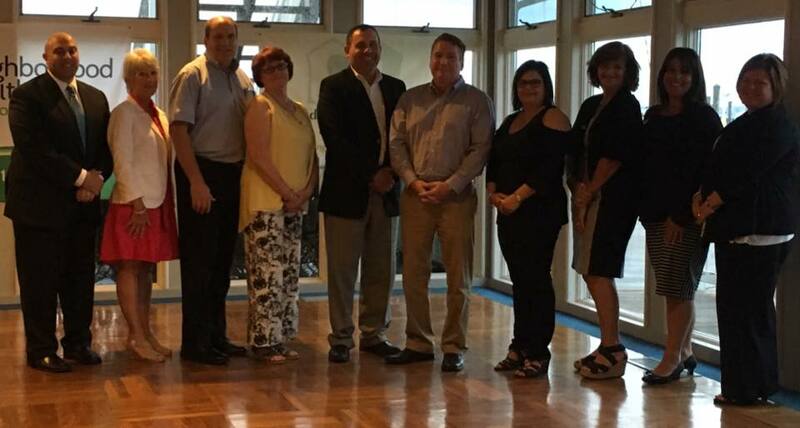 The Partnership is governed by a Board of Directors elected annually from among the Provider Membership. The daily management of the association is overseen by our Executive Director, Nicholas Oliver. The Board of Directors meets monthly and its committees, which are open to all members of the Partnership, meet regularly to further the Partnership’s strategic mission, goals and objectives. There are twelve members of the Board of Directors with eleven Directors elected by the Provider Membership. The President of the Board of Directors is Laurie Ellison of Cowesett Home Care. Laurie has operated Cowesett Home Care since its founding in 2004 and had previously worked in the home care industry. She has a Bachelor of Science in Nursing from Rhode Island College. She is a member of the Partnership because she believes in “working together for the betterment of the industry”. Mary Lou has worked for South County Home Health, previously the Visiting Nurse Service Home Health Services, part of South County (Hospital) Health, for the past 34 years and has been in the industry for 39 years. She has a Bachelor of Science in Nursing from the University of Delaware. 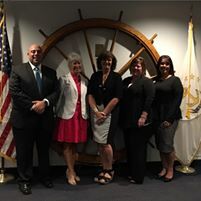 She is a member of the Partnership because of “the ability to meet and work with others dedicated to public service and those in the healthcare field in Rhode Island”. Cheryl has worked for HomeCare Advantage, a family-owned business, for over 15 years. She has a Bachelor of Fine Arts from Syracuse University. She is a member of the Partnership because of its “teamwork to address issues and offer solutions and that its members have similar public policy concerns in which we advocate as one voice for the industry”. 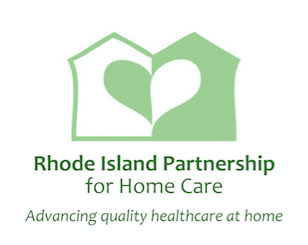 Vinnie has operated Home Care Services of Rhode Island since its founding in 1999 and had previously worked in the home care industry after retiring as police officer for the Woonsocket Police Department. He has a Bachelor of Science in Law Enforcement from Bryant College. He is a member of the Partnership because “the Partnership’s members are dedicated advocates that work together to improve the business climate of the industry”. Mary has worked in the home care field since founding Community Care Nurses in 1985. She has an Associate of Science in Nursing from the Community College of Rhode Island and a Bachelor of Science in Business Administration from Providence College. She is a member of the Partnership because of its “commraderie”. Joe first came into the home care industry in 2013 when he was appointed to the Board of Directors for Homefront Health Care. In 2015, he was appointed by its Board of Directors to lead the company as its President and Chief Executive Officer. He has a Bachelor of Science in Business Management from Bryant College. He is a member of the Partnership because of its “caring individuals advocating for the industry”. Kathy was appointed to lead her hospital’s home care and hospice agency in 2016 after a career dedicated to the industry. She has an Bachelor of Science in Nursing from Saint Anselm College and a Master of Science from Rensselaer Polytechnic Institute at Hartford. She is a member of the Partnership because of its “leadership for the industry”. In February 2013, Nicholas became the fourth Executive Director of the Partnership since its founding in 1990. His career spans almost 20 years in government affairs, public relations and nonprofit management. He previously worked for the American Heart Association, Massachusetts Association for 766 Approved Private Schools, Sierra Club, and The Partnership to Reduce Cancer in Rhode Island. He also has experience working in state government on health and environmental policy and has worked on multiple Presidential races and state office election campaigns. He has a Bachelor of Arts in Political Economics with a minor in Public Relations from the University of Hartford and a Master of Public Affairs from the John W. McCormack Graduate School of Policy Studies at the University of Massachusetts Boston. His master’s thesis examined provider payment models under state Medicaid programs and offered solutions at the time for cost-effective delivery of services while financially sustaining providers of healthcare and education to pediatric patients with exceptional disabilities. He is also a Certified Association Executive by the American Society of Association Executives and received the 2013 Rising Star Award from the New England Society of Association Executives.